With the digital evolution, it’s essential that the role of the librarian expands, Youth Services Librarian Marla Smith said, explaining that local library services have expanded far past checking out books, with the library now providing services using technology and digitization. One such person is Youth Services Librarian Marla Smith, who entered Government through the Public Service Bursary Awards Scheme, a programme that has supported many young Bermudians’ educational pursuits with a view of preparing them to fill necessary technical and professional posts within the public service. Mrs. Smith was eager to share her public service career journey in hopes of inspiring young Bermudians to pursue a career in Library Sciences. “As the Youth Services Librarian, a post I’ve held for over 11 years, I am responsible for managing personnel, innovation, inventory and ensuring that all programming is and carried out successfully,” Mrs. Smith said. Mrs. Smith recalls her start in the public service as a summer student in the Department of Child Development, over 31 years ago. After completing her Master’s in Education through a local cohort offered through Bermuda College, Mrs. Smith, also a recipient of the Further Education Award, also received the Public Service Bursary award and went on to complete her Master’s in Library Science from Clark Atlanta University. After graduation, Mrs. Smith was promoted to Head of Youth Services through the Government’s succession programme. Asked what advice she would share with potential bursary programme applicants, she says “Working in the public service provides its members a chance to further their education, secure employment, and be placed in line for succession planning, which can later turn into a promotion. Mrs. Smith said she’s also appreciative of the career development opportunities provided through the public service’s human resources department. She says that it’s vital that she takes at least a two courses throughout the year, as she believes in life-long professional development and learning. “People are often unaware of the daily tasks of a librarian in 2018,” she shared. “Our roles are very dynamic, filled with daily excitement. Additionally, libraries are not just repositories of books anymore. In today’s digital age, university students and professionals are increasingly referring to online sources to complete school assignments and for work. Mrs. Smith notes that with the digital evolution, it’s essential that the role of the librarian expands in order to keep pace with the demand for information. Mrs. Smith points out that not only do librarians have the power to select and request reading materials that they deem most appropriate for the particular repository, but this also inherently qualifies them to be at the forefront of library integration to ensure improvements are made effectively. 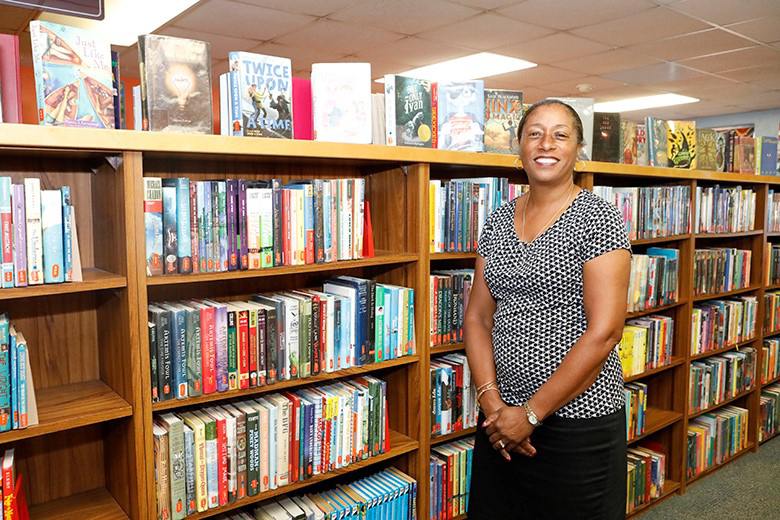 Mrs. Smith concluded, “Bermuda’s Youth Library and the public service as a whole have provided such a unique opportunity for me and continue to offer opportunities for youth both now and in the future.